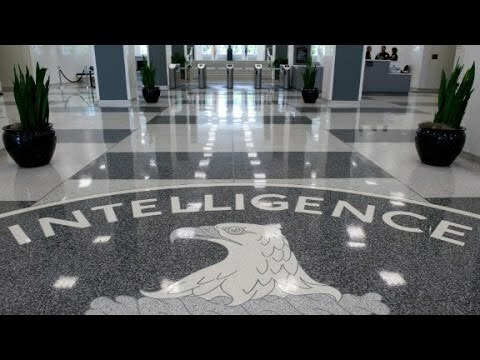 The findings of an internal investigation at the Central Intelligence Agency made available to the public on Thursday show that CIA agents did, in fact, spy on the Senate Intelligence Committee panel set up to investigate post-9/11 government torture under the Bush administration. Lawmakers were briefed on the report by the CIA Inspector General’s Office earlier this week and the head of the agency, John Brennan, issued an in-person apology to lawmakers on Tuesday over the agency’s behavior during a meeting with Senator Dianne Feinstein (D-Calif), who chairs the Intelligence Committee, and Sen. Saxby Chambliss (R-Ala.), the committee’s vice chair. The tone of the [CIA] announcement sharply contrasts with the unprecedented battle that erupted over the issue between the spy agency and its congressional overseers and appears to represent an attempt to ease what have been seriously icy relations. In a contentious Senate floor speech in March, Feinstein asserted that the CIA may have violated the law and the Constitution by monitoring her staff’s computers and blocking access to documents. During the public imbroglio that followed between Feinstein and Brennan, as the Washington Post points out, the CIA chief said lawmakers would regret accusing the agency of misconduct. To the contrary, it seems now that those concerned about the CIA’s attempt to infiltrate the panel’s investigation have been quite vindicated for holding those concerns. Among them, intelligence committee members themselves. And Senator Mark Udall (D-Colo.) took the opportunity to blast Brennan for his continued role in undermining public confidence in the agency. It is, perhaps, remarkable that a spokesperson is even speaking to reporters and sharing details of an apology. One probably did not expect Brennan to apologize. Such a development indicates how corrupt this act by the CIA must have been. The effort was part of policy at the CIA to conceal evidence related to torture, rendition and detention, to publicly mislead or even lie about the efficacy of torture, rendition and detention in fighting terrorism and to ensure no former or current CIA officials were ever prosecuted for what they did. The Justice Department decriminalized the CIA’s role in torture and decided not to prosecute anyone. The investigation into the destruction of CIA torture tapes ended with no charges. In fact, sleep deprivation and sensory deprivation through drugs that do not cause “permanent derangement” can still be used against detainees. Yet, Brennan does not have to worry at all about being prosecuted or fired from his job as CIA director. It is entirely up to him whether he should step down or not. Obama will not be asking for his resignation over this misconduct.